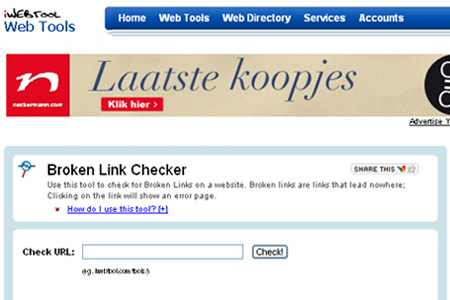 A broken link is a link that leads you to empty or error pages of which the most common is error 404. It is the result when a web page has been deleted, no longer exist or when a site moved to a different domain. Having a lot of broken links to your website would mean low ranks in search engine as they are capable of stopping the search engine bots from tracking all of your pages. Therefore, it is very important for you to ensure that your website is free from broken links so that your visitors will also keep on coming back to your site. What are you waiting for? Check your website right now from broken links with this List of Highly Effective Broken Link Checker Tools to achieve a good ranking on major search engines. Some of these tools do not only detect broken links but also give you the location and provide information on why such links are broken. SEO Skipper – Free Broken Link Checker Tool is a comprehensive tool to use for link issues and validate object references in your webpages. 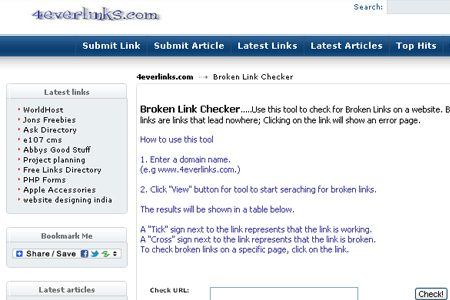 iWebTool – Broken Link Checker is a tool which checks for broken links on a website. LinkTiger is a Software-as-a-Service (SaaS) application that checks, diagnose and fix any broken links. 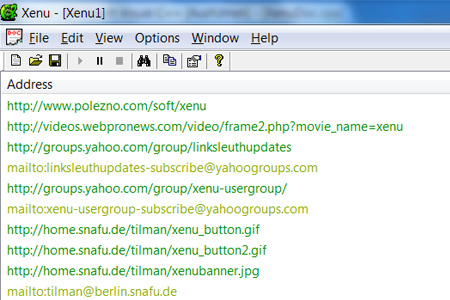 Xenu`s Link Sleuth is a multi-threaded spidering software that checks a web document for broken links. 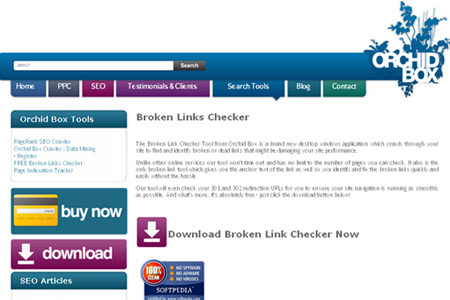 OrchidBox – Broken Links Checker is a small, easy to use and essential utility that spider an unlimited number of pages for links, text, https://blueblots.com/wp-content/uploads/2011/08 and content as well as the sitemap. LinkByLink is a platform-independent link checker and HTML validator. 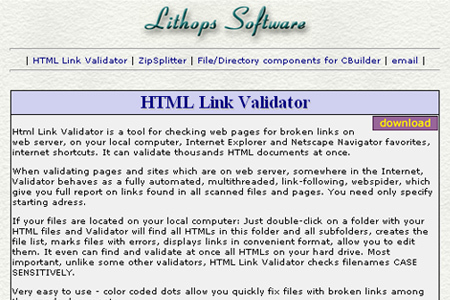 Lithops Software – Html Link Validator is a tool for ensuring that your HTML files contain no broken links. 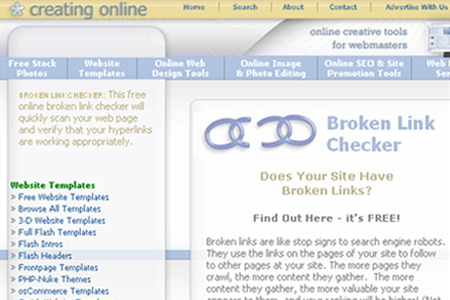 CreatingOnline.com – Broken Link Checker is a free online tool that will quickly scan your web page and checks for the status of both the hyperlinks and the image links. 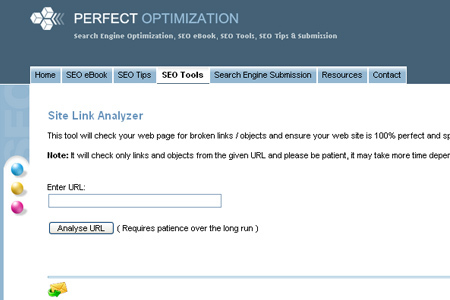 Perfect-Optimization.com – Site Link Analyzer is a free tool for ensuring that your website is 100% perfect and spider friendly from broken links / objects. 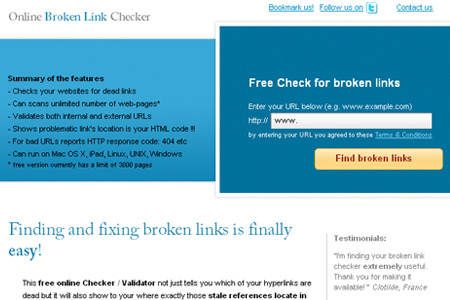 Brokenlinkcheck – Online Broken Link Checker is another free tool that scans webpages and informs you which of your hyperlinks are dead. 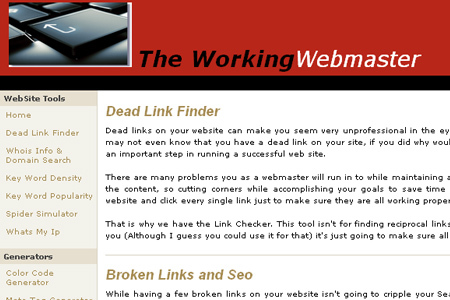 The WorkingWebmaster – Dead Link Checker is a free webmaster tool for checking dead and broken links on your website. 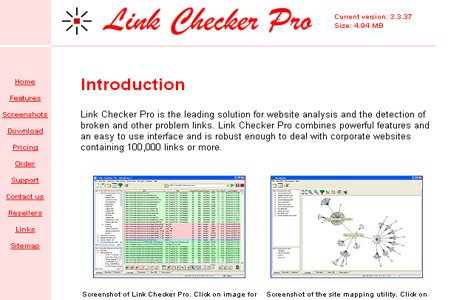 Link Checker Pro is a highly efficient tool for detecting broken links and other link problems on your website. 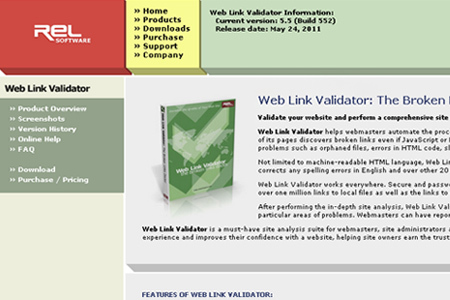 REL Software – Web Link Validator is a free easy-to-use tool which will help you easily locate broken links and links containing syntactic errors. 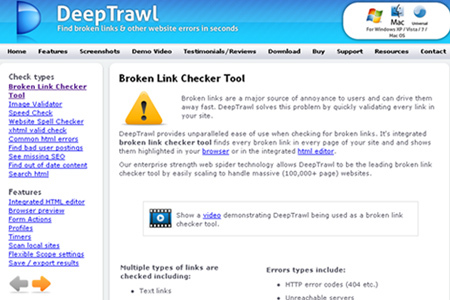 DeepTrawl – Broken Link Checker Tool is the most powerful tool that checks every page in your site for broken links. 4everlinks.com – Broken Link Checker is a tool you can use to check for Broken Links on a website. 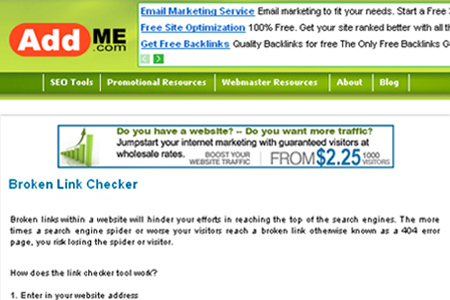 AddMe.com – Broken Link Checker is a sophisticated tool which analyzes your site and identifies broken links. 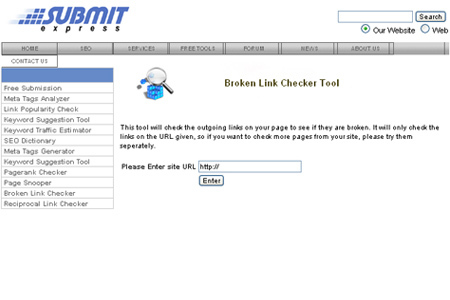 SubmitExpress – Broken Link Checker Tool is a free to use tool that checks broken links on a website. 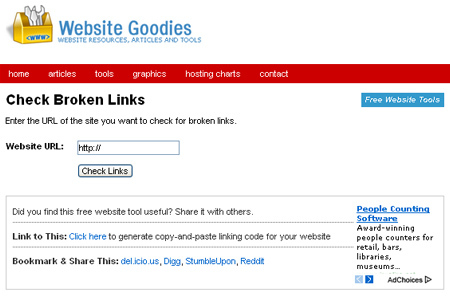 Website Goodies – Check Broken Links is a free tool for webmasters to scan your website and identifies broken or dead links. 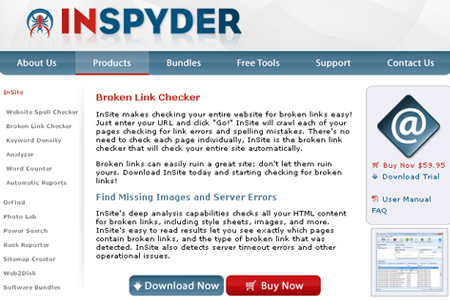 InSpyder – Broken Link Checker is great software for checking broken links and spelling mistakes. 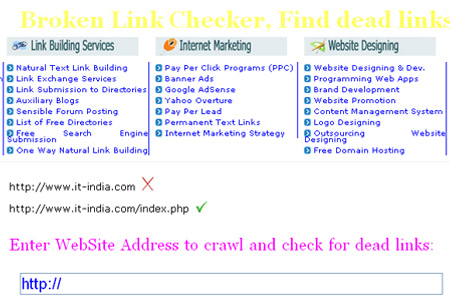 It-India – Broken Link Checker is a great seo tool for finding out broken or dead links. Just in time, thanks for sharing this article..